Several weeks ago our friends Jasper Lambert and Francesca Montmore spent the weekend with us at Darlington House. They arrived bearing gifts, as all well-mannered houseguests do. 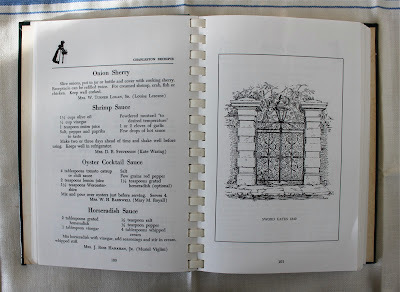 One of the gifts they arrived with was a vintage copy of Charleston Receipts, a recipe book compiled by the Junior League of Charleston, South Carolina. Originally published in 1950, Charleston Receipts is the oldest Junior League cookbook still continuously in print. No changes have been made to the original 1950 version of the cookbook, except for some minor editing and reformatting over the years. The version we received was printed in 1993, the year of the cookbook's twenty-eighth printing. The 350-page book contains 750 recipes, sketches of regional interest by Charleston artists, and numerous Gullah verses. Gullah is the Creole language spoken by what the book refers to rather quaintly as "Afro Americans," who are the descendants of slaves and live in the Carolina Lowcountry. Reggie has a soft spot for cookbooks published by charitable organizations, churches, and schools to raise money for worthy causes. The cookbook Francesca arrived with is a delightful and appreciated addition to his collection of a dozen or more such volumes, including several others published by other Junior League chapters. Called the Bible of all Junior League cookbooks, Charleston Receipts features recipes that have served Charleston hostesses well for decades and is considered a “must” in any cookbook collection. 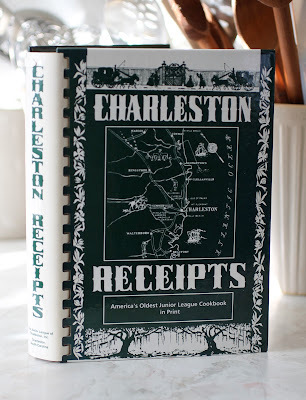 Described by Food & Wine as “reflecting the nostalgia for the Old-South that prevailed among low-country aristocrats during the postwar (Civil War) era,” Charleston Receipts features a recipe collection as colorful and timeless as the area that it represents. The recipes were influenced by the family cooks, many of whom spoke the Gullah dialect, a centuries-old Atlantic Creole language that is illustrated and preserved throughout the pages of Charleston Receipts. For its outstanding preservation of local and regional culinary customs and its benefits to the local community, Charleston Receipts was inducted into the Walter S. McIlhenny Community Cookbooks Hall of Fame in 1990. As I have written before, our friend Francesca Montmore is a Charleston aristocrat of ancient lineage, formidable brains, and superlative beauty. She gave us Charleston Receipts because she knew that we would appreciate it, given how much we enjoy cooking, material culture, and all of the stories she has told us about her colorful forebears and about growing up in Charleston. Charleston Receipts features a half dozen or more recipes contributed by Francesca's great-aunts and her grandmother, and she grew up eating a steady diet of food prepared from it. Needless to say, although the recipes for Charleston Receipts were provided by the good ladies of Charleston, it was their Gullah cooks who actually prepared the dishes. Charleston Receipts contains chapters devoted to beverages, canapés, seafood, hominy and rice, hot breads, and the usual assortments of meats, starches, vegetables, and desserts. Some of the more noteworthy recipes include "St. Ceclia Punch," "Benne Seed 'Cocktailers,'" "Company Oyster Stew," "Hampton Plantation Shrimp Pilau," "Baked Calf's Head," "Jellied Chicken Loaf," "Aunt Julie Gadsden's Egg Soufflé," "Plantation Plum Pudding," "Magnolia Gardens' Pancake Cookies," and "Mrs. Fairfax Montague's Old Time Sponge Cake." All are redolent of Old-South plantation days and cotillions on the Charleston Battery. The recipes are straightforward renditions of what today we call comfort food, relying extensively on ample amounts of butter, cheese, mayonnaise, bacon, sugar, heavy cream, and other delicious, calorie-laden ingredients. One of my favorite chapters is "Short Cuts," made up entirely of dishes that can be quickly prepared and extended, if needed (often with a can or two of cream of celery soup), when extra guests arrive unexpectedly, much to the Gullah cook's exasperation. Reggie is an admirer of the Junior League and has much respect for its members, exclusively women, who give selflessly and generously of their time and financial support to the betterment of the communities in which they live. According to the foreward of Charleston Receipts, the Junior League of Charleston is "committed to promoting volunteerism and to improving the community through effective action and leadership of trained volunteers. Its purpose is exclusively educational and charitable. 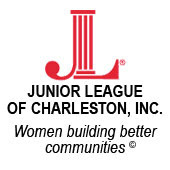 The Junior League of Charleston, Inc., reaches out to women of all races, religious and national origins who demonstrate an interest in and commitment to volunteerism." Reggie's own mother, MD, was an active member of the Junior League of Detroit as a young woman, when Reggie was a little boy. MD found her experience in the Junior League rewarding and satisfying, and she was rightly proud of the League's contribution to improving the lives of those less fortunate than she. She also acquired much of her childrens' wardrobes during her weekly volunteer work at the League's Nearly New Shoppe in Grosse Pointe, where she would comb through the gently worn offerings and bring home selections for us to try on, at prices that were a fraction of what they would have cost new at the stores that originally sold them, such as Best & Company and the J. L. Hudson Company. By selling copies of Charleston Receipts over the years, the Junior League of Charleston has raised more than a million dollars, all of which has been used to fund programs in and around Charleston to benefit the community. It is a worthy organization, indeed. Reggie is most grateful for having been given a copy of Charleston Receipts by his dear friend Francesca Montmore. He looks forward to consulting it and cooking from it for years to come. Reggie urges you to consider buying your own copy of Charleston Receipts, Dear Reader, which can be ordered directly from the Junior League of Charleston here. Hello, I've been posting for ages but realized my browser was probably not allowing the comments to register. Oh well! Anyways, I really enjoy these charitable cookbooks. Some of my favorites are from various parishes. It is always fun to leaf through the regional and family dishes. How maddening it must have been for you to find your comments lost in the Ethernet. So glad this one came though, thank you for visiting. How kind of your thoughtful guest to present you with this beautiful cookbook and that her ancestors contributed receipts. I love this cookbook and purchased it in Charleston, twenty years ago. I love the use of the word receipt. Yes, isn't the use of "receipt" quite charming? There are some rather marvelous recipes in the cookbook that I am looking forward to following at some point. Hot pepper cheese bisquits are high on the list! That is a clever rhyme explaining the difference between recipes and receipts. Old New England books sometimes use the synonym 'rule'. Hello Anon: What a terrific suggestion, I shall be sure to look up the Smithsonian's collection! Junior League cookbooks are divine. Does the one from Charleston have a recipe for Chicken Bog? I've been trying to find a good one for ages. It's a Carolina dish. Hello PTE&E: I just checked through Charleston Receipts index, from beginning to end, and was not able to find any reference (or recipe) for "Bog" or "Charleston Bog." Try Faber's Pilau, submitted by Mrs. Albert Simons, p.119. Dahhling Reggie, I adore well mannered thoughtful house guests! How divine a new cook book to your collection! Yes, one is most appreciative of well-mannered guests arriving with thoughtful gifts and conumables. Why only last weekend, a darling couple arrived with a Magnum of Pol Roger champagne! One of Reggie's rules for hostess gifts is they must always be consumable, in one form or another. You either must be able to eat it or drink it, read it (a book that can be passed on), or burn it (a candle). Hmmm...I think I've just given myself an isea for a post! When MD volunteered at the GP Junior League shop one of the Mrs. Fords donated couture maternity clothes. MD lamented that they were not her size because they were exquisite. Back then maternity clothes were not at all attractive. Many years later, when we were living in Washington, D.C., she resigned from the Junior League over their refusal to admit African-American members. Thank you, Camilla. I also recall MD speaking about the couture maternity clothes, and that she said they were broken down into months one through nine, also that she and her fellow JL-ers were frustrated that none of them were of a size to wear them! I was not aware of her reason for leaving the League when we moved to Washington, though, so thank you for enlightening me. no SC girl is without her copy of Charleston Receipts...included in a post last year. My go to reference, hope you enjoy your copy! first cookbook purchase deciding I could spiff up my cocktail offerings for my swells. To this day I continue to refer the book. You are a good Sustainer's son to provide in depth such a good review of this cookbook. Best wishes to you and Boy. I just went downstairs and found my copy dated 1950 and purchased in Hilton Head Island in 1976. Half the rings in the binder are missing and the pages have brown splashes all over the place. When I lived in N.C. in the 70's that's all we cooked from. ..Junior League Cookbooks. I gave a ton of mine away but kept a few for old times sakes. This was one of them. Wow Reggie, you sure have a way of stiring the pot with us old timers! Why am I not surprised to find you have a well-worn copy of CR of your own, m'dear? Now I will have the pleasure of thinking of you, too, when I open it and cook from it. If I recall correctly, that is the book our friends have at their beach house, from which I made the recipe entitled French Cream, or French Dessert Cream, which is a wonderful version of Panna Cotta. This post reminds me of a practicum I did in library school. I worked cataloging a rather large donation of cookbooks for the culinary collection of the Nadine Vorhoff Library at Tulane University. One family had donated their mother's collection of cookbooks. I spent the whole summer working with these books and never finished. I probably never finished because I was too busy reading the inscriptions and looking at all the places they were from. The woman who collected the cookbooks was married to a military man so she had charity/society cookbooks from all the places she lived. It was fascinating to look at all her books, to page through the books to see which recipes she liked, to see where they were from or who they were from. One of my favorite things about her collection was that she put her address in the books when she got them, so I could also trace where she lived. I wish I could remember her name. Hello Emmaleigh: What a great comment. I almost felt as if I were there with you, reading through the books. A library or collection of books is, indeed, a window into someone's life, if not soul. I have this one as well as a number of other Junior League cookbooks. One I've enjoyed many times. It always brings me back to the lovely city of Charleston. I really enjoy your blog. I don’t know whether it is because I too am a Sustainer’s son, but I seem to have acquired a number of Junior League Cookbooks. Some were gifts and some were purchased while traveling. Many of my favorite recipes come from those books. Invariably the recipes were created for entertaining not our more modern focus on health considerations. My mother was a member of the Junior League of DC. I fondly remember going along with her while she volunteered in the office of the Junior League in Cleveland Park. I believe it was in the old Klingle Mansion adjacent to Rock Creek Park. Forty some years later I still remember roaming around that old home and grounds and being fussed over by the ladies who worked in the kitchen. This is also one of my favorite cookbooks. Do you have "The Junior League Centennial Cookbook" which has "over 750 of the most treasured recipes from 200 Junior Leagues"? Although this isn't a Junior League book, "Bluegrass Winners" from the Garden Club of Lexington, Kentucky has wonderful receipes also. Such a beautiful looking book. Oh judging by the comments I must invest at once! It was my good luck to inherit a 1950 Charleston Receipts from my grandmother. It was raggedy when I received it and it's even more so now. I was happy to receive Charleston Receipts from my grandmother, in part, because it was one more connection to the fascinating city of Charleston where my mother and aunts attended school. In those days, Ashley Hall (http://www.ashleyhall.org/) had boarding students. According to the promotion, Mr. Terry includes personal reflections on the history, music, and politics that shaped his interest in healthy, whole foods, as well as the cultural influences that inspired the recipes. Oh Ashley Hall, to your traditions we're true! Oh Ashley Hall, we're always loyal to you! I'm pleased to report that my mother, KWO, won the 1939 Ashley Hall Neatest Room Award for excellent attention to detail and consequent good order. I regret to report that the pecan fell far from the tree in my case regarding tidiness. The Neatness Award is framed and when my apartment is finished, I might hang it in the pantry as inspiration. Or reproach. While I've visited Charleston many times over the years, I've only been to Sullivan's Island once. Our brief visit there (1971) was memorable, however, due to our unusual accommodations. We stayed with the parents of my husband's college roommate. They lived in a World War II battery that had been converted to residences. In this particular case, only barely converted. No furniture to speak of and the concrete floor was carpeted in recycled tennis shoe soles. 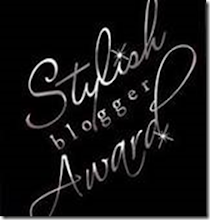 If you are not familiar with Lucindaville (blogspot) I think you would enjoy it. The author is a writer and she shares unusual "receipts" and often discusses vintage cookbooks. She also has a special feature "Cocktails at the Burnpit" -a fun spot. My favorite receipt in the whole book is "Meeting Street Crab", contributed by Mrs. Huguenin, who conceived of and edited Charleston Receipts in 1950. (I wonder whether she wrote the poems? She was certainly capable. I adored her, and you would have too.) But paging through the cookbook today, I must confess I shuddered a little...all the women who supplied the recipes are the terrifying old dragons of my youth! The receipt that fascinated me as a child--"Otranto Pine Bark Stew", begins "Arise early and go on to the Lake and catch about eighteen Big-Mouth Bass, Bream or Red Breast. Have 'Patsie' make an outdoor fire of pine bark--then have her slice about one dozen Irish potatoes...."
I once had a collection of all these classics: Charleston Receipts, Forum Feasts, Museum of Fine Arts Cookbooks (I and II), Essex County Cooks. Others which I can't remember, but all with that same plastic spiral binding and treasured recipes inside. I loved them! Then I downsized and gave them all away. Silly moi. Thank Goodness I Gave Up Such Foolishness . . .